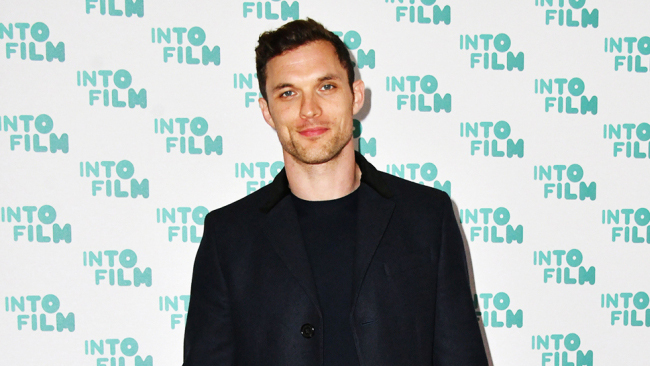 Film fans have inundated Ed Skrein with love after the British actor turned down the role of Major Ben Daimio in the new Hellboy film because the character is of mixed Asian heritage (and he isn’t). Skrein’s decision comes after years of controversy about Hollywood whitewashing. The rising star has been praised for his stance, especially since he’s at a crucial point in his career, and won lots of new admirers. Before becoming Hollywood’s real-life hero, the Londoner was best-known for his movie breakthrough as the villain Ajax in Deadpool. He also played the original Daario Naharis in season three of Game of Thrones. Other films included The Transporter Refueled, replacing Jason Statham in the franchise, plus Ill Manors and Kill Your Friends. Career suicide, or a good move? Skrein’s statement is “very brave” for someone who’s an up-and-coming actor in Hollywood, according to Larushka Ivan-Zadeh, Metro newspaper’s chief film critic. “Will he, by standing up for anti-whitewashing, be blacklisted as a troublemaker?” she asks. “There is that threat. We don’t know what goes on behind the scenes, and studios can be very closed ranks. They don’t like people making them look bad or causing a fuss. Skrein is on the cusp of the big time, and perhaps the studios will bank on the fact that rather than being tainted by a whitewashing “scandal”, he has instantly become just about the most beloved member of an industry that is often seen as mercenary and discriminatory. A turning point for Hollywood? Skrein is the first actor to have publicly turned down a role because he’s the wrong ethnicity. After his example, will other actors be able to play characters from a different ethnic group and hold their heads up ever again? “This is a really unusual thing for someone to do,” says Larushka Ivan-Zadeh. “It will become a reference point. This is making a stand because he is standing up for his convictions. As for the studios, Ivan-Zadeh thinks attitudes are changing – slowly. “Things are starting to shift. And the fact that this conversation is not going away, that it keeps happening year after year, is something people can’t ignore. Using white actors to play characters of a different ethnic origin has been going on for decades – egregious examples include Mickey Rooney as Mr Yunioshi inBreakfast at Tiffany’s in 1961 and Laurence Olivier blacking up for 1965’sOthello. The debate has intensified in recent years. Jake Gyllenhaal played the title role in 2010’s Prince of Persia: The Sands of Time. Johnny Depp was the Native American Tonto in 2013’s The Lone Ranger. In 2016’s Gods of Egypt, stars like Gerard Butler played Egyptian deities. Earlier this year, an uproar met Scarlett Johansson’s Ghost in the Shell, a live action remake of a Japanese manga comic, while Emma Stone played a woman of Hawaiian and Chinese heritage in Aloha in 2015. The argument from studios and financiers has always been that they need a big name to attract enough fans to pay for the tickets – and some ethnic groups don’t have many big names. Director Ridley Scott was criticised for 2014’s Exodus: Gods and Kings, in which white actors including Christian Bale played Biblical characters. There was a similar outcry when Tom Hardy was rumoured to be playing Jafar in Guy Ritchie’s new Aladdin. But Ritchie seems to have reconsidered, and that role has actually gone to Dutch-Tunisian actor Marwan Kenzari. Kenzari won a Shooting Stars Award at the Berlin International Film Festival in 2014 and has had parts in films like The Mummy, Ben-Hur and Murder on the Orient Express as well as the lead in Netflix’s The Angel. So actors with the right experience and the right skin colour are out there. Perhaps, if they are given a break, we’ll now see a new generation of non-white Hollywood stars coming through. Broadway has recently been through a similar episode, when actor Mandy Patinkin withdrew from the Tony-winning musical Natasha, Pierre & the Great Comet of 1812 after being cast to replace Okieriete Onaodowan, who is black. Patinkin is a bigger name than Onaodowan and was brought in to boost ticket sales – but the move didn’t go down well. The show is now closing. And there is a (whole other) debate about able-bodied actors playing disabled characters, and cisgender actors playing transgender characters.